There are only a few things I pride myself on, but one of them is gift giving. I really enjoy giving gifts, and I think I've finally found the perfect place for Father's Day shopping. Although I really love giving gifts, alas I'm a last minute shopper, often giving gifts late. The way I see it, it's an added level of anticipation. "Did she remember? Or is she late?" Ha! Can you believe that Father's Day is this Sunday already? Wasn't it just Father's Day?! Are you as behind in your Father's Day shopping as I am? Chris recently told me a cute manly story about how he complimented a dude's leather laptop bag at work and it began a friendship. Since he will be traveling a lot for work this year, I wanted to get him a bag that would make him put his bag envy to rest. He got the Bashful Billionaire's Briefcase, and he says that it's the kind of bag that he can use for the rest of his life. Top notch quality! (Photo coming soon!). If, like me, you're scrambling for the perfect gift for the dads in your life, please don't just get him another tie or hastily try some disastrous, sentimental art project you've pinned. Maybe celebrate the manliness of him. Order tonight and spring for priority shipping -or- pick out something so freaking awesome that he won't even mind that it's a tiny bit late. Details: The giveaway will be open on Wednesday, June 11 and end Sunday, June 15, 2014. Two commenters will be selected to receive a one $50 giftcard to use at DuluthTrading.com. Winners will be selected automatically via Rafflecopter once the giveaway closes. Duluth Trading Co. is responsible for prize fulfillment. 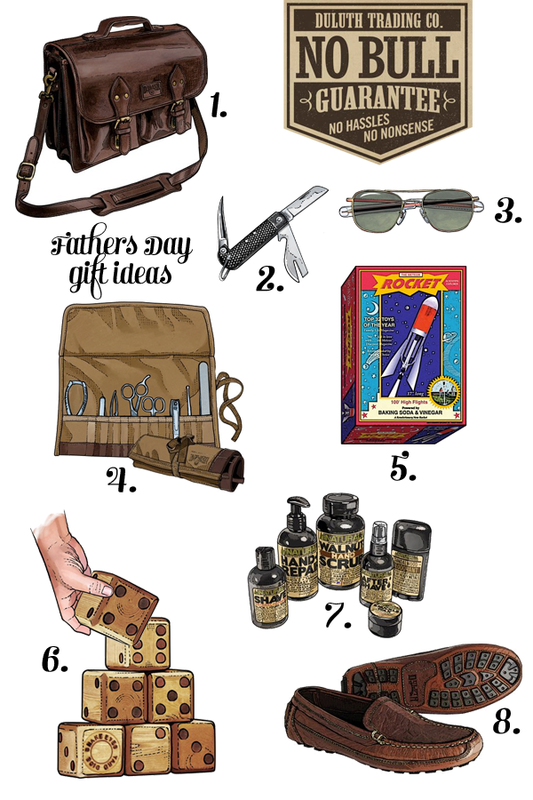 Be sure to check out the Duluth Trading Company blog for dad gift ideas.